WASHINGTON -- In one of the first arbitration decisions involving General Motors Co., a Michigan Chevrolet dealer won his bid for reinstatement and has been told he will be receiving a letter of intent from the manufacturer. The arbitrator ruled that Lou LaRiche Chevrolet, of Plymouth, Mich., has the skill and financial resources to be a successful dealership. “While the undersigned arbitrator gives credence to GM's overall business plan and in fact acknowledges the urgency of many of its actions, the characteristics of this specific dealership are convincing that it has the financial wherewithal and will to succeed and to make a positive contribution to the overall GM dealer network and the public,” the arbitrator's May 14 decision said. Former GM CEO Fritz Henderson had testified at the arbitration hearing last month that overall dealer cuts are essential to the company's profitability, the dealer's attorney, Christopher DeVito of Cleveland, said in an interview. Henderson made no comment that applied specifically to Lou LaRiche Chevrolet's situation, the lawyer said. Henderson was GM's first witness at the April 27-30 hearing in Southfield, Mich., the lawyer said. GM declined to comment today. “We respect the confidentiality of our relationships with each of the dealers who are affected,” GM spokeswoman Ryndee Carney said. Although the LaRiche decision is the first publicly known arbitration judgment involving GM, Carney said it is not the first to be handed down since arbitrations began last month. GM already has contacted Lou LaRiche Chevrolet to convey the automaker's plan to send a letter of intent, DeVito said. Under the new federal arbitration law, GM has seven business days to do so after the decision. GM has hundreds more arbitration hearings scheduled before July 14. At the same time, the company is reinstating hundreds of other dealerships and settling other cases. As part of its bankruptcy last year, GM had targeted 2,000 dealerships for termination of one or more of its franchises by October 2010. A copy of the three-page judgment, obtained by Automotive News, shows the decision for LaRiche rebuffed a number of GM's arguments. For example, the arbitrator said GM identified the dealership's “retail sales index (RSI)” under 70 as the specific basis for termination. But he noted that the RSI is a subset of the “dealer performance summary” and that Lou LaRiche Chevrolet's dealer performance summary was nearly 97 -- far above GM's stated criteria of 70. The arbitrator also cited in the dealership's favor its profitability from 2006 to 2009 during an economic slump, its net working capital and its cash and other assets. “The dealership's future economic viability did not appear to be in question,” the decision said. The arbitrator also gave little weight to GM's arguments that the suburban Detroit dealership should have moved from an undesirable location and was not spending enough on advertising, the decision showed. 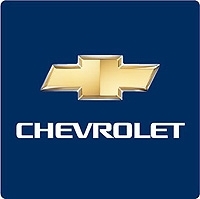 In 2008, Lou Riche Chevrolet was the 97th-ranked Chevrolet dealership out of about 3,000 in the United States, DeVito said. The dealership has posted news of the decision on its Web site. "IT'S OFFICIAL!! !," the dealership site says. "We have won in arbitration and GM has fully reinstated us as a Chevrolet dealership!!!" Daniel Duggan of Crain's Detroit Business contributed to this report.